Roy Archer in his workshop circa 1984. A feature of his work was the high quality of the finishing. He'd use increasingly fine glass paper, then wire wool, then cloths & polish to produce a perfectly smooth finish. Roy George Archer grew up in Buckhurst Hill, on the edge of Epping Forest (the road he grew up on was called Forest Edge). His parents, George Stephen Archer and May Libby had three sons: John, Roy and Rex. After a year or so of decline, he died after a short illness, 1 week short of his 66th wedding anniversary and 2 weeks short of his 92nd birthday. He is survived by his wife, Rona (née Girton), four children (Ruth Rouxel, Michael, Julian and myself), 9 grand children and 5 great grand children. Roy was too young to fight actively during WWII but in 1939 helped his head-teacher father evacuate children from London and as soon as he could he signed up for the RAF. Towards the very end of the war he was sent to the US where he was due to fly Liberator aircraft which was rather worrying since they kept blowing up. Thankfully the underlying design fault (the fuel line was fixed right next to the cockpit heater) was discovered and corrected before he flew them. This was mid 1945 and so the war was all but over but it was when he was at his most active in the RAF, for example, helping organise the UK end of the Berlin Airlift (1948-49). 5 years after joining as a pilot he became an Adjutant in an RAF regional hospital serving the NW of England, Scotland, N.Ireland and Isle of Man. A RAF Coastal Command Liberator Mk I Patrol Plane, similar to the ones Dad was due to fly at the very end of WWII. He left the RAF after 10 years but immediately joined the Volunteer Reserves as a pilot and later as a specialist in photographic interpretation. Throughout the Cold War he would spend 5 weekends a year at RAF Brampton and 2 weeks a year at RAF Laabruch (which now serves as Weeze Airport). His role was to look at reconnaissance images and spot where enemy tanks, missiles etc. were. I believe that on one occasion he was the first to identify a new kind of Soviet weapon. By the time he retired from the RAF he held the rank of Squadron Leader. The RAF didn't provide Roy with a living as such. His primary job throughout his adult life was as a teacher of different kinds of handicraft, particularly woodwork. He did his initial teacher training during the war and after being demobbed taught in schools in Essex and Surrey. He completed his training at the London Central School of Arts and London College of Furniture, now London Metropolitann University. In 1958 he took up a lecturing post at what I knew as Chester Teacher Training College, now the University of Chester. When the College decided not to train handicraft teachers any more he became responsible for organising Teaching Practice – sending student teachers to local schools to practice for the future. One of the pieces of furniture Dad made. 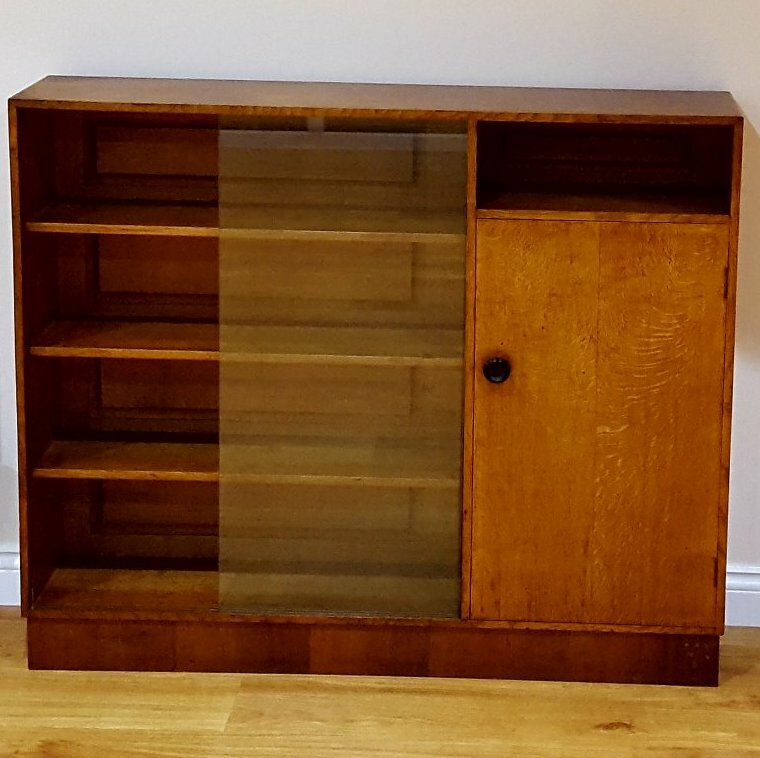 He was keen to make sure that this one stayed in the family as it is the one he made for his final year at the College of Furniture in Shoreditch. Inspired by his father before him, Roy was talented in many crafts including leather work, metal work and, later in life, book binding. 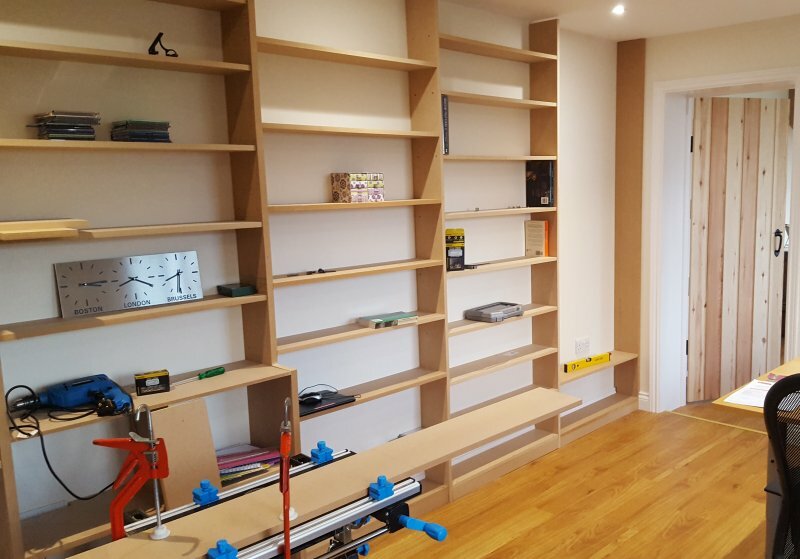 But his real forte was as a cabinet maker – the job he really wanted to do all his life. 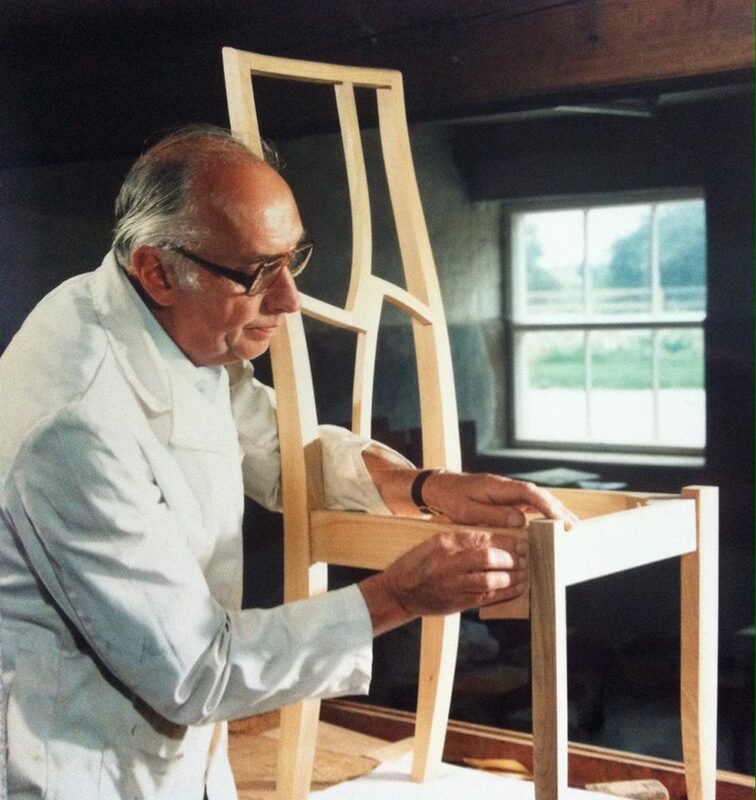 When he took early retirement in 1983 he set up in business to do just that but he had been making beautiful furniture throughout his life which is now spread among his children, grand children and great grand children as well as former customers that include the Duke and Duchess of Westminster. I believe this is the last thing Dad made. It's a tiller for the yacht I had for a while. It's laminated and shaped in a mould. I have since sold the yacht but have kept the tiller. Like many of his generation, Roy was a regular church goer. As a boy he sang in his local choir, on several occasions singing in St Paul's Cathedral. After moving to Chester he served as a sidesman at Chester Cathedral (the person who takes the collection and processes up the aisle to the priest) often working with a Mr Bowman – who found pleasure in the nominative resonance long after Roy had ceased to find it funny. Roy also served on numerous committees over the years including the Cathedral Fabric Advisory Committee, the Civic Trust, the Chester International Links Association and many more. Another passion was sailing. 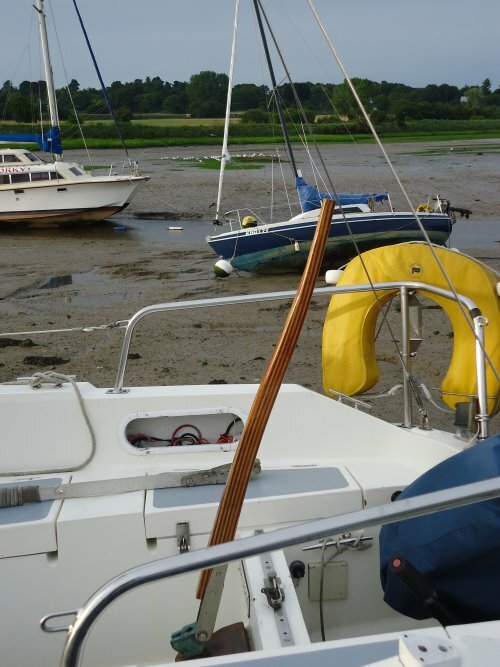 He would take students to far flung parts of the country, like Suffolk, to go sailing in the College's dinghies (mostly GP 14s) but in the late 60s he built his own Wayfarer from a kit (W1824, Blue Admiral). This he would sail at every opportunity and summer holidays were largely focused around tide times at Newport Parrog where the boat was moored for 4 weeks of the year. 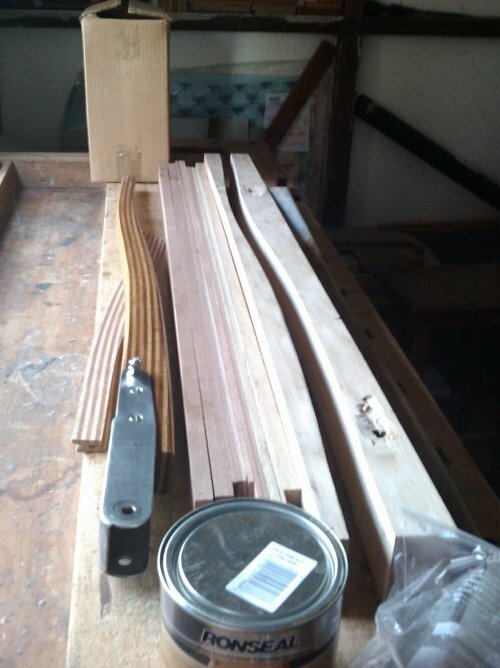 A basic grasp of carpentry (to my school's surprise I took woodwork O level instead of biology). How to cook egg and bacon. How to make tea on a camping stove in the wind. How to wire a ring main. How to score cardboard so you can fold it. The difference between Crianza, Reserva and Gran Reserva. How an aria in Handel's Water music is thought to sing 'please be kind to me' after Handel had, at that time, displeased King George III. Tree identification (he got me to press the leaves). Timber identification (it's the smell as much as the colour and texture). How to read a map. How to catch a mackerel. How to read a bedtime story (I particularly remember him reading the Voyage of the Dawn Treader to me). I saw him less than three days before he died and we both knew it could well be for the last time. I couldn't thank him for all that he did for me and my siblings, no one can. All we can do is try and pass it on, as I try and do. But I'll never do it as well as he did. The last thing he said to me was "I love you." What more could anyone ask of anyone. Not cabinet making by any stretch and way below his standard but it's a project I can only tackle thanks to being my Dad's son. I was able to show him this picture the last time I saw him. My way of showing that I listented to what he said occasionally - he seemed pleased. 22 July 2016 , updated 24 July 2016 using information left by Dad, amended 25 December 2016 to correct Dad's role in the Berlin Air Lift.